The recent passing of Dorothy Oberto brought to mind many fond memories of a gracious lady who was loved by everyone who had the opportunity to meet her as she became a fixture on the Hydroplane racing circuit with Husband Art and son Larry. 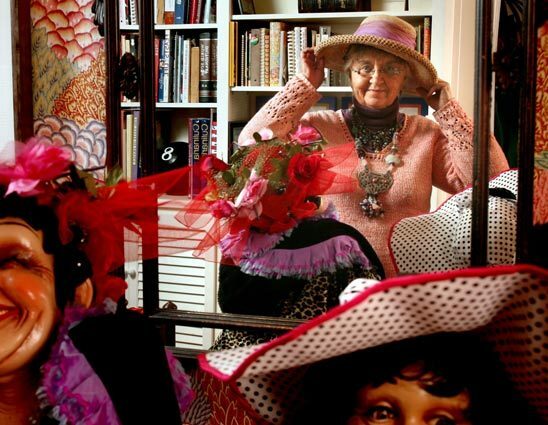 H1 Unlimited Historian Fred Farley commented, "Dorothy Oberto was a wonderful lady. My fondest memory of her is when she invited me to a sit-down dinner for 50 people at the Oberto home overlooking Lake Washington. It was the greatest "Hydro Party" that I ever attended. I provided the after-dinner entertainment in the form of hydroplane videos. Dorothy Oberto in 2009. Seattle Times photo. Since mid-season 2000, the community-owned Miss Madison from Madison, Indiana, has been sponsored by the Oberto Sausage Company of Seattle. This started with a hull that had been built in 1988. Renamed Oh Boy! Oberto and despite the age of the boat, this craft won the 2001 Indiana Governor's Cup at Madison and the 2005 "Thunder On The Ohio" race at Evansville, Indiana, with Steve David driving. 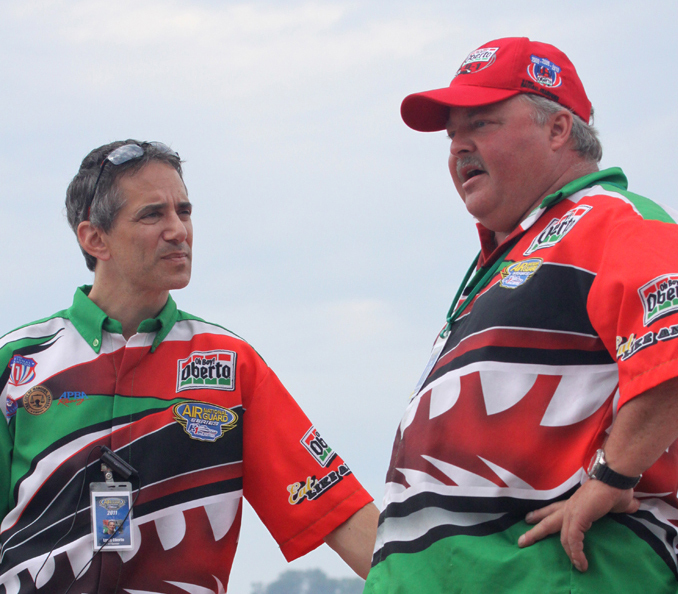 The father-and-son team of Art and Larry Oberto had been sponsoring Unlimited hydroplanes off and on since 1975. 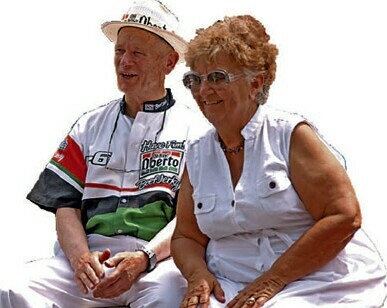 With the retirement of the Miss Budweiser team in 2004, the Oberto company became the oldest corporate sponsor in Unlimited racing. Art and Dorothy Oberto were Grand Marshalls of the Madison Regatta Parade in 2010. They were married for 58 years. The Obertos have long been involved in sports promotion. Their slogan "Oh Boy! Oberto" was popular in Seattle many years before it was ever applied to a race boat. In the 1950s, the company sponsored radio broadcasts of the old Seattle Rainiers Pacific Coast League baseball games. In 1918, Constantino Oberto–Art's father–opened a sausage factory in Seattle, making salami, coppacola and other sausages with family recipes he brought with him from Italy. The Oberto Sausage Company grew from three employees to more than 800. That expansion occurred after Art Oberto took over the tiny business at age 16 in 1943 when Constantino unexpectedly died. When he assumed leadership of the company, Art kept going to school, determined to graduate from West Seattle High School…and he did. Oberto Sausage barely survived the meat shortage of World War II. Average annual sales growth over the decades has ranged from 10 percent to 15 percent in slow years, and 20 percent to 30 percent in better times. Larry Oberto (L) with Oberto crew chief Mike Hanson. In the 1960s, Oberto began making beef jerky, at the suggestion of Art's wife, Dorothy. It is now the company's main product. The very first Oberto-sponsored hydroplane was Bob Murphy's veteran U-4. The hull had been built in 1962 as Notre Dame and made its debut as Oh Boy! Oberto at the 1975 Tri-Cities (Washington) Gold Cup. With Chuck Hickling at the wheel, the U-4 finished seventh in a fifteen-boat field. After sponsoring a number of "budget" teams for several years, the Obertos upped their ante in Unlimited racing in 1987. They joined forces with owner Jim Harvey and scored their first two victories (at Miami and San Diego) the following year. These races were won with a time-honored Rolls-Royce Merlin internal combustion engine at a time when most teams were changing over to Lycoming turbine power. Subsequent to the 2006 campaign, the 1988 Miss Madison hull was declared obsolete and retired after nineteen seasons of participation. In the words of Larry Oberto, "We basically evaluated where the sport had gone and how the team had done. We felt confident in supplying them with new equipment. We wanted them to have a good race boat–one that gave the driver the confidence to go as fast as he can without worrying about the consequences." A commitment to build a new boat was made in October 2006. It was a frantic race against time to be ready for the start of the 2007 campaign in June. The new Oh Boy! Oberto weighed 600 pounds less than its predecessor and featured a state-of-the-art hull design. She was the first new hydroplane in the Unlimited Class in five years. The boat arrived at the first race of 2007 (in Evansville) untested, having never been put in the water. As the season progressed, the Oh Boy! Oberto crew, led by crew chief and co-designer Mike Hanson, fine-tuned the new craft, which began to make its presence felt out on the race course. The team scored back-to-back victories in the Chevrolet Cup at Seattle and the Bill Muncey Cup at San Diego and placed second in National High Points. Seldom has a brand new Unlimited hydroplane made such a positive impression in its very first year of competition. According to owner representative Bob Hughes of Madison, "None of this would have been possible without the support of our sponsor, the Oberto family of Seattle. If we had done nothing else in 2007, we wanted to win in Seattle. They have won other races. But this was their first hometown victory." Hughes continued, "The fact that our Chevrolet Cup win coincided with Art Oberto's 80th birthday made our victory extra special. I know it meant a great deal to Art. "Judging by the numerous congratulations the team received in Seattle, it would appear the Oh Boy! Oberto is as popular in the Pacific Northwest as it is in Madison, Indiana. Seattleites consider us to be a Seattle boat, while Madisonians consider us to be a Madison boat. And that's just fine with us." In 2008, the Obertos hit Big Casino. They won their first National High Point Team Championship. This entitled the Oh Boy! Oberto/Miss Madison (U-6) to carry the coveted U-1 designation during the 2009 racing season. Driver Steve David achieved 100 percent reliability in 2008 by finishing every heat that he entered. The U-6 also qualified fastest at four of the six events. Three subsequent Team Championships were achieved in 2009, 2010, and 2012. Since building the new boat, the Oh Boy! Oberto team has won eleven races. These include four victories at Seattle, three at the Tri-Cities, two at Madison, and two at San Diego. Over the years, some of racing's greatest teams have achieved the distinction of National High Point Champion. These include the Miss Budweiser, the Atlas Van Lines, the Pay 'n Pak, the Miss Thriftway, and the Miss Bardahl. Oh Boy! Oberto/Miss Madison is certainly in distinguished company!